Don’t let uncertainty, pain, stress or tough life situations trap you into believing you’re stuck that way forever. 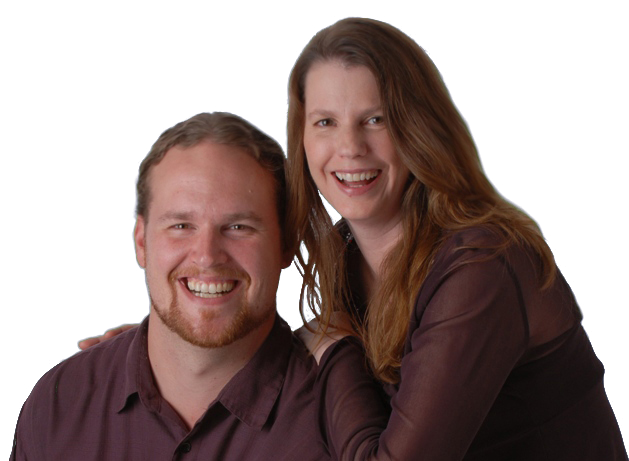 Holistic Health Practitioners Kay Grace and Michael Freeman have over 15 years’ experience in helping people create happier, healthier lives focused on what matters most. Choose your challenge below, and let us help, or we’ll find someone else who can. Pain, Stress, Illness or Injury? Thoughts & Feelings Holding You Back? When your body hurts it hard to find peace, do what you love, or even think clearly. Whether your challenge is an illness, injury, chronic pain or a body overwhelmed by stress, a holistic approach is worth looking into. We really do have body and cellular memories of trauma & pain, and here in the west we are only beginning to understand what the east has known for thousands of years – that it’s hugely important to address all levels for long-term health and wellness. One of the benefits of working with Michael is that he’s been doing massage therapy as his primary work since 2001, and is also trained in advanced energy work which allows him to address both the physical and the mind-body connection, as well as the subtle energy body. You should know that it’s okay if you’re not sure about energy work or complementary care. Michael is happy to provide pain relief using only his more than 15 years’ experience as an effective massage therapist, if that’s your preference. What you think and how you feel has a powerful effect, both positive and negative, on your health and well-being. Sometimes the mind is filled with negative self-talk or never-ending replays of what you should have said or done. Sometimes unrealistic expectations of yourself and others, relationship challenges or concerns over what might happen in the future grow into unmanageable monsters of anxiety, stress and overwhelm. At other times it’s your feelings and emotions that trip you up and keep you stuck in old patterns you feel helpless to change. I’s like you just can’t seem to shake sadness, depression, grief or even habits you know hurt you. This is where adding holistic techniques which address these things in a compassionate, step by step, yet intuitive way can really help you make progress where you want to. 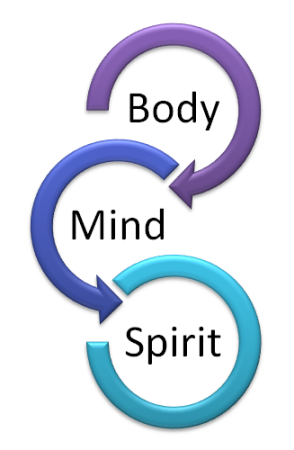 Energy Work (also known as energy healing, of which Reiki is one of thousands of types of energy medicine) and Sound Healing can help because they bypass the thinking mind, the part which wants to keep telling the story of why we cannot change. Instead, these techniques work on the subtle energy body, and on releasing the energy “footprints” of thoughts and feelings that are no longer helpful, freeing you to make a new and consciously chosen fresh start. 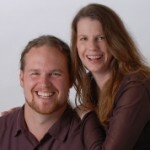 Michael and Kay are both certified advanced energy healers having graduated from an extensive 4 year program. Michael is also a Reiki Master, and Kay is a Sound Healing practitioner, teacher, trainer and author. Finding deeper personal meaning in our lives and a connection to something greater than ourselves has always been an important part of the human experience no matter what particular spiritual values you hold dear. In our holistic work, we don’t leave this part out; we welcome people wherever they happen to be, and offer ways to nurture the part of yourself who yearns for something more. Using energy work, sound healing, retreats and customized personal breakthrough coaching, we help you get clear guidance on what you are here to experience and we support you in offering your gifts to a world who needs them. Sometimes it helps to understand what you’re going through as part of a spiritual learning experience, or even a spiritual crisis. You may need help in making sense of things that don’t always fit into the typical western scientific model. For example, although depression has physical and psychological aspects, it also has a spiritual component which shows up when a person is “living a divided life,” denying a core part of who they really are. In the simplest terms, it pains us (sometimes physically) when we are not true to ourselves and to what matters most.